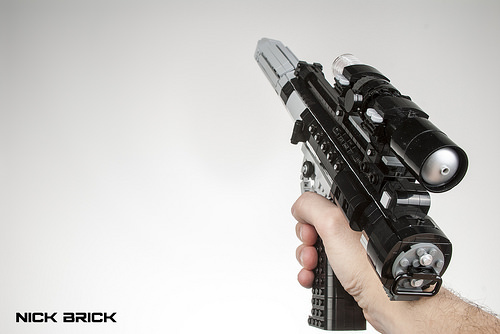 Both further expanding my arsenal of gaming weaponry and giving my Imperial blaster a Rebel Alliance counterpart is a LEGO replica of the DH-17 blaster pistol. I built the DH-17 using EA Dice’s Battlefront in-game model for detail reference. As for scale, I used the E-11 blaster I previously built as a starting point, considering the original props of both blasters were built from modified Sterling SMGs. 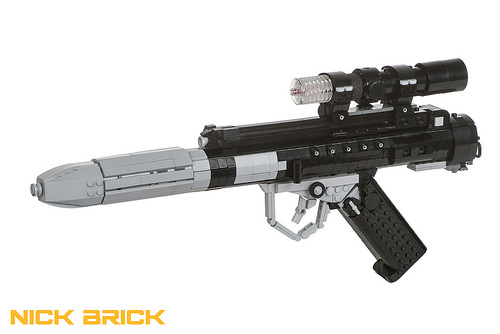 This particular weapon replica is light on working features, having only a moving trigger.